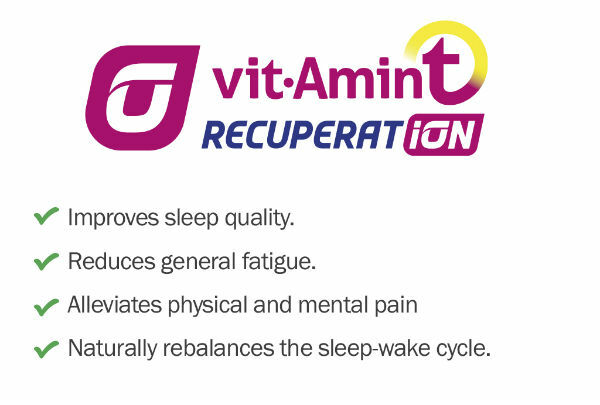 Discover the authentic isotonic drink with mineral salts scientifically formulated to obtain a deep remineralization of the muscles. Our muscles are thirsty for minerals. 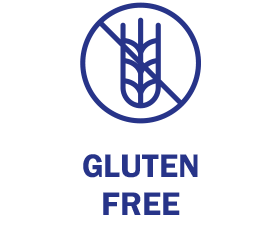 When we suffer from muscle pain caused either by a specific stress or prolonged fatigue, it is very likely that we need a good extra supply of minerals. 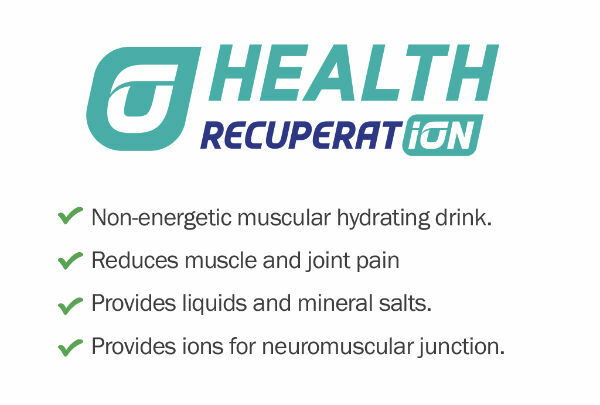 Recuperat-ion FM, is a non-energetic hydration drink with mineral salts (Sodium, Potassium, Calcium, Magnesium) designed to provide liquids, mineral salts and essential ions for the functioning of the neuromuscular junction. 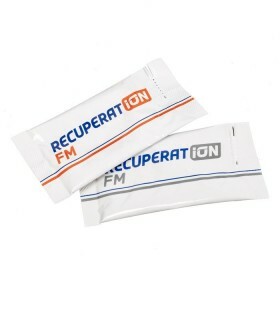 Recuperat-ion FM is a hypotonic drink which restores the ionic muscle balance. 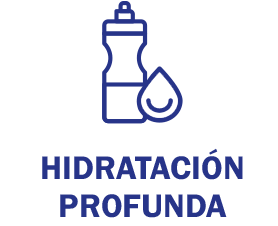 Nuestros músculos tienen sed de minerales. Cuando sufrimos molestias de origen muscular causados ya sea por un estrés puntual o fatiga prolongada es muy probable que necesitemos un buen aporte extra de minerales. 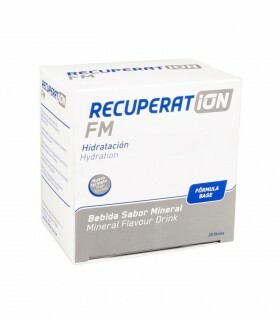 Recuperat-ion FM, es una bebida hidratante no energética con sales minerales (Sodio, Potasio, Calcio, Magnesio) diseñada para aportar líquidos, sales minerales y iones imprescindibles para el funcionamiento de la unión muscular. Recuperat-ion FM es la bebida hipotónica que restablece el equilibrio iónico muscular. Take this drink with mineral salts before and after exercise: 1 sachet in half a litre of water. During intense exercise: 1 sachet in 1 litre of water. You may add 10 g of sugar. 1 sachet in one litre of water. Drink throughout the day. Over a long period of time. 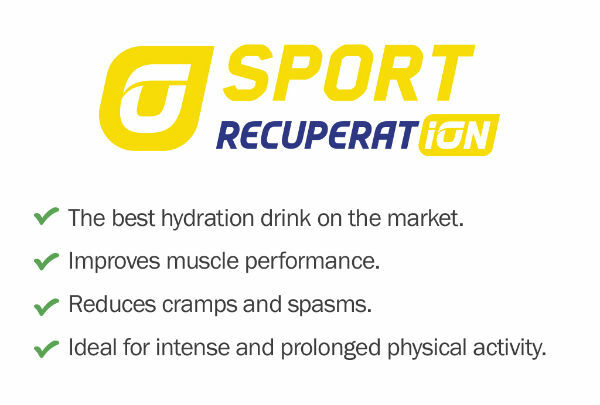 The athlete’s health is the main objective of the Recuperat-ion Sport range and for this reason we have always had the support and collaboration of specialists in medicine and sports nutrition.